I enjoyed reading your post, Wendy. It's always interesting to see what other readers' favourite list and adding them onto ours as well. Here's to another great reading year in 2017! 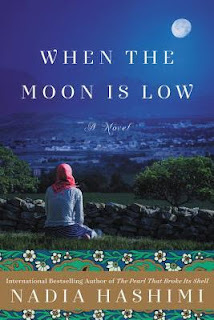 Melody - I kept my favorites list short this past year, but enjoyed so many of the books I read. I feel it was a good reading year overall. :-) I'm looking forward to seeing what 2017 will hold. So far it's off to a great start reading wise. The invisible library series sound really good! And I can't believe I still haven't found a copy of The Night Parade :p I guess I just have to wait patiently and hope my library adds it to the ebook collection. I wish I had a copy of The Night Parade to share with you. :-( It's so good and I think you would like it. I need to get back to Scalzi - thanks for the great idea! :--) I also loved the Yoon book so much I just ordered it for my niece as a "New Year's" present! Jill - I definitely would like to read more by Scalzi. Redshirts is my first by him. Wasn't the Yoon book great? I hope your niece enjoys it as much as we did. What a memorable way to remember 2016. My book of the year remains A Man Called Ove. Looking forward to your 2017 reads, happy reading. Tracy - A Man Called Ove is an awesome book. :-) I hope you have a wonderful year in reading too! Great list! 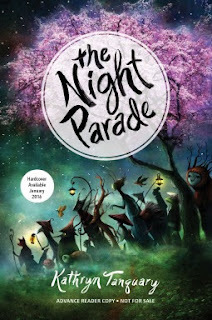 I love the cover of The Night Parade...I must get that one. 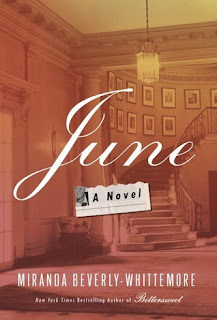 An I can't believe I haven't read June yet! An eclectic list! I like the way you have categorized some of your books! I was recently thinking of making a list of "bad sister" books, since I've read a couple recently. :) I think my hidden gem would be The Girl in the Garden by Melanie Wallace, but I have not yet gotten around to surveying my 2016 reads. Ooh, I'll have to look into these books by Cogman! I have never even heard of them but they sound like ones I would enjoy. Aarti - Cogman's books are a lot of fun. I hope you enjoy them if you give them a try. Really enjoyed this post. I share your feelings about Salvage the Bones, but there were so many great reads in 2016. You've reminded me of several books I've been meaning to get to: Death of a Dishonorable Gentleman, June, and The Readers of Broken Wheel. And I must get back to The Invisible Library also. Happy reading! Catherine - Yes, lots of great reads in 2016 even with the two or three disappointments. I think you'll really like Death of a Dishonorable Gentleman, June, and The Readers of Broken Wheel when you get to them! I loved The Sun I Also a Star too! Kathy - It was so good, wasn't it? So many good books you've read and shared! It is hard to say no. The Ninja's Daughter cover makes me think of "A" from Pretty Little Liars and how they were portrayed in the show. Charlie - So many good books. :-) I hadn't thought about it, but you are right. Spann's book cover does bring to mind "A". How funny. I love reading these end of year posts. I get so many ideas of books I must read! :) Of course I definitely have The Sun Is Also A Star on my TBR list. Iliana - I love these posts too. My wish list always grows by a mile this time of year. :-) I hope you enjoy The Sun Is Also A Star when you read it! Looks like you had a great year of reading! It sounds like you had a great year. I have to agree with you regarding The Invisible Library series - these books are so much fun. I love getting a chance to look at all of your reading stats. Thanks for sharing! Carole - It was a great year in reading. :-) I just love the Invisible Library series. I am glad you do too! I'm so pleased you also loved Neverwhere! Such a great read. Now you'll have to listen to Neil Gaiman read it. Redshirts is one that I've been meaning to get to - hopefully sooner, and hopefully in audio. 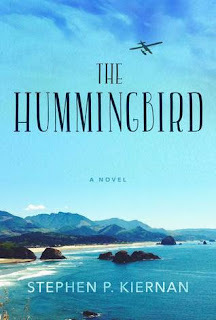 Books that make me cry also get high praise from me, so I've noted Hummingbird. Thanks, your recc from last year, The Policeman, was a definite winner for me. I can't believe we both, mystery lovers, missed The Cuckoo's Calling until this year. I understand the last book ends on a cliffhanger, so I'll prob wait until the 4th is closer to being released before I get to the third. Here's to another wonderful year reading together! Elizabeth - I am glad I got the chance to read Neverwhere--finally. I have enjoyed everything I have read by Gaiman so far. I am sure Redshirts is good in print too, but I really enjoyed the audio. I hope you are able to to get to it--and like it when you do. The Hummingbird was so good. I hope you are able to read it. At least you are reading the second book in the series. I need to get to that one soon. Thanks for the heads up about the third book and the cliffhanger. Quality over quantity, that's always good :-) I've never even though to keep track of the gender of the author, so that's interesting. I'd guess I probably read more female authors too. Not on purpose, they just seem to be more common in the genres I read. The Night Parade has such an interesting cover! The world building sounds interesting too. And I'm glad you found five books that met your perfect 5 star rating :-) I only found two lol. Kristen - Yes, that's what I think too. :-) I used to read closer to an even balance of male and female authors, and it's interesting to see how much that has changed over the years. I am not sure it was a conscious effort on my part to read more women. I thought about doing a top ten list, but in the end thought I would just focus on the top five. Two is good too! These lists are so dangerous. I end up adding too many books to my list for the new year. I haven't read any of these books, but I did happen to meet Greer accidentally when hanging out with Sarah McCoy! Serena - I did too! So many great sounding books to try. How neat that you got to meet Greer. I really enjoyed her book, The Magician's Lie. You know, you always have such wonderfully MEATY posts to be enjoyed by your readers!! I will have to come back for more than one comment, for sure!! This is an AMAZING post!! So much bookish AWESOMENES!! All those books you've read!! HOW do you manage to read so fast? PLEASE tell me your secret!! I am SO green with envy.....lol. 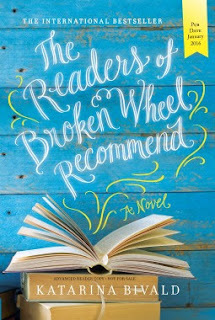 Right off the bat, I want to read The Invisible Library Series, as well as "The Readers of Broken Wheel Recommend". "The Night Parade" and "Neverwhere" are other books I'm interested in. And then, of course, there's "The Sun Is Also A Star"!! 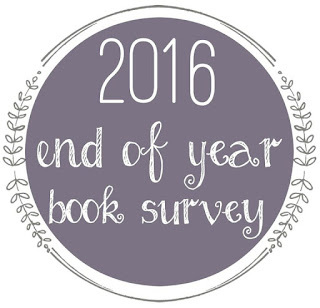 I LOVE your idea of including excerpts from your reviews of your favorite reads from 2016!! And these excerpts are very well-written, as well as evocative of each book's world! I LOVE the first three book covers you've shared! They're all so unique and eye-catching! And I really want to read "The Magician's Lie". That one has a GREAT plot! You've made me feel SO excited about reading "The Sun Is Also A Star"!! 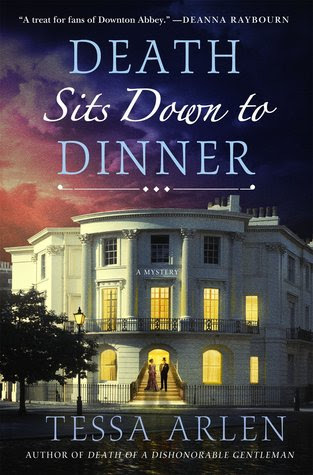 Well, I've read some very positive reviews of it, and of course, if there's romance involved, I'll be interested! Since I ADORE Christmas romance novels (or novellas), I've just checked out the plot of "White Christmas". It's SO cute! So I definitely will be reading this one when Christmas rolls around again! I think I'll check out that Edwardian mystery series you love. 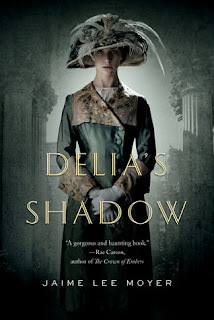 I like the combination of historical fiction and mystery. It reminds me of my favorite detective, Sherlock Holmes. As for my favorite 2016 reads, I can recommend the Shadow Falls series, the Vampire Academy series (both are YA paranormals), "Belle Chasse", by Suzanne Johnson (adult paranormal and urban fantasy), and "Just For Christmas", by Scarlett Bailey.